Terpenes are organic non-psychoactive molecules found in Cannabis. 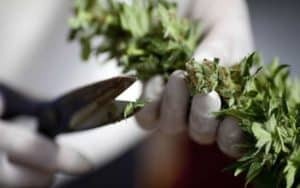 They are the chemicals that give cannabis its unique scent. Terpenes are an organic hydrocarbon found in the essential oils of plants. We can think of terpenes like “notes” when talking about wine – it’s the aromatic metabolites found in the oils of all plants. There are more than 100 individual terps found in the cannabis plant. The production of terpenes in plants has slowly evolved over time in order to attract pollinators. Science has proven that terpenes play a crucial role not only influencing the fragrance and taste of each strain. It has also shown how different terpenes amplify or lower the intensity and duration of the Cannabis experience. Terpenes qualities depend largely on factors like temperature, humidity, and light intensity. 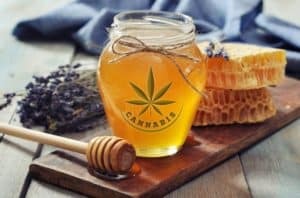 The legal market has responded positively to the promotion of cannabis terpenes because they are not psychoactive and are able to help and treat certain health conditions. Aromatherapy is one of the fields that is entirely based on the research of the properties of terpenes. Sativa strains have a distinct citrusy smell, while indicas have often an earthy fragrance with a smell of pine needles. As well as their own medicinal effects, terpenes work synergistically with other cannabinoids. This synergy is called the “entourage effect”, the way in which different components work together and enhance or neutralize the end experience. By using terpenes to modulate the adverse effects of other cannabinoids, producers can create new customized strains of cannabis in order to offer certain characteristics. Pinene is one of the most common terpenes in the world. It has anti-inflammatory properties and improves our breath and helps with asthma. Moreover, it’s been known to improve our mind’s focus and memory. This terpene can make for an alert and creative high. Pinene can be found in Jack Herer and Super Silver Haze. Myrcene is the most commonly found terpene in cannabis plant. It can be found in many other popular plants like thyme, lemongrass and mango. In Cannabis myrcene is found in vast amounts. 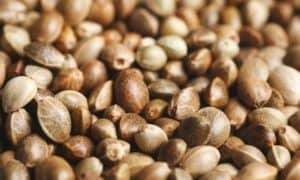 Myrcene is a known for its sedative and relaxing properties but also works as an anti-inflammatory. This terpene has a musky and fruity taste and is responsible for the “couch-lock” feeling of several indicas that contain high levels of myrcene. 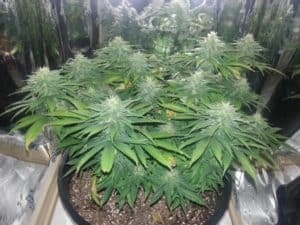 Two very famous Cannabis strains high in Mycrene are White Widow and Pure Kush. Limonene is most probably the most famous terpene and easiest to recognize – it has a citrus smell and is found in rosemary, oranges and juniper. It relieves stress, and has antibacterial properties. Limonene stimulates weight loss, elevates mood and fights against anxiety. Limonene can be found in many sativa dominant strains for example OG Kush and Super Lemon Haze. Humulene, formerly known as α-caryophyllene, is one of the core cannabis terpenes and has a hoppy aroma. This terpene can be found in hops, cloves and basil. It’s best known for its ability to suppress appetite. It acts as an antibacterial agent and has anti-cancer and anti-inflammatory properties. Recent studies concluded that humulene has an anti-inflammatory effect. Another important study shows that Humulene when combined with cannabinoids and other terpenes can fight cancer cells in a lab environment. It can be found in strains like Headband and Original Glue. Linalool has a floral and spicy fragrance. You can find this terpene in many plants, including mint, cinnamon and Lavender. Linalool helps the neural system and is known for its anti-anxiety, anti-inflammatory and anti-depressant effects. Recent research suggests that Linalool can protect and improve the immune system and significantly reduce lung inflammation. Strains that contain high levels of Linalool are Amnesia Haze and Special Kush. Borneol is a medicinal terpene with a camphor smell. Chinese traditional medicine uses borneol for acupuncture and has done for hundreds of years, both topically and orally. Borneol has an antiseptic and analgesic effect it’s a bronchodilator and helps insomniacs get sleep. Most haze strains contain high traces of Borneol like K13-Haze. Delta 3 Carene has a distinct piney flavor. It has a known antihistamine function and is additionally referred to as the bone-repairing terpene. A large range of problems like arthritis, fibromyalgia and osteoporosis can benefit from the use of this terpene. Delta 3 Carene also improves memory retention for those suffering from Alzheimer’s disease. Some medical cannabis strains that possess Delta-3-Carene terpene are Jack Herer and Super Lemon Haze. 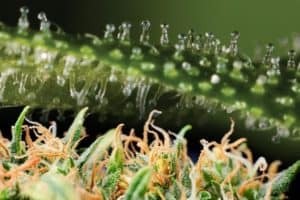 As we can see it is obvious that terpenes are not only responsible for the smells and tastes but also play a vital role to the effects of a strain. That’s the reason why the medical cannabis industry is beginning to recognize the value of terpenes. There is still a lot to learn about terpenes. 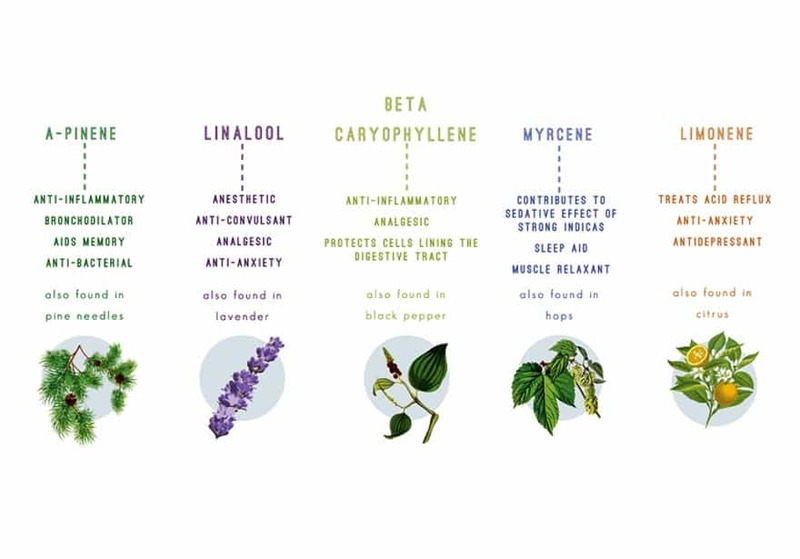 Terpene profile mapping will help identify more applications for these naturally occurring scents and we will be in a position to utilize them further. My time is spent searching for the best dry herb vaporizers money can buy, deciding which seed bank is best and checking out the latest products on the UK CBD market.